Ladies and gentlemen! Can’t I please get a big hooray for researchers of the Eindhoven University of Technology in my home sweet home?! Why? Because they’ve figured out to way to make a car coating that means you’ll never have to wash your car again. Of course you don’t actually have to wash it now either, but unless you like to look like you’re driving an SAS vehicle, you kind of want to. Don’t you? So, how does it work? 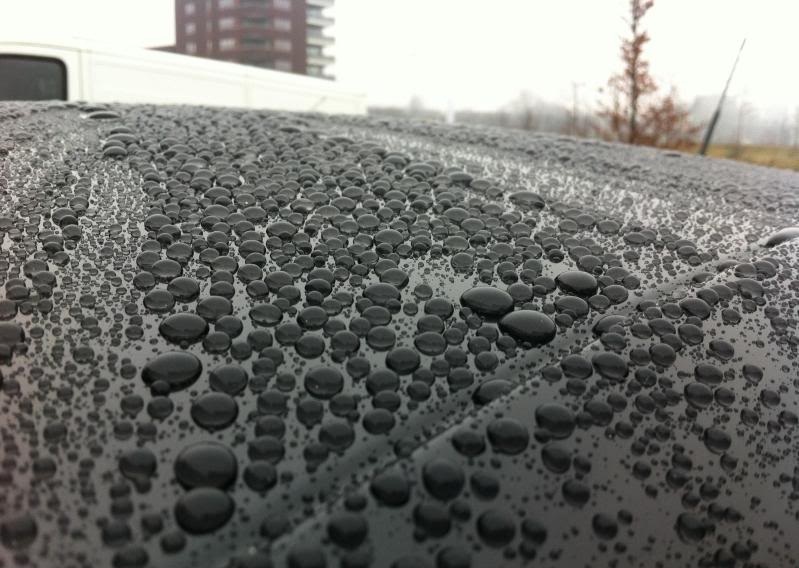 In essence what causes the car to stay clean is no different from a water-repellent coating that you can already get. I’m sure you’ve seen it when it rains. You’ll see the drops just run off that very expensive car – although that’s sometimes also due to was – and it just looks clean as a baby’s bottom – well, maybe not the best example, but you get the point. Whenever there’s dirt on the car, chuck a bucket of water on it and it will all run off like quick silver on a glass surface. Unfortunately, the problem with those coatings is that they damage and wear and after a while your car will still get dirty. With the new coating there’s a solution. My sources tell me stuff about molecular groups, a priming coating and microscopic ‘stems’ with the functional water-repellant molecule group on the ends. I’m not a graduated chemist – nor an un-graduated one – but I think I’ve understood a small part of how it works: whenever there’s a small scratch or damage, the stems will automatically rearrange and stand to attention again. The water-repellant molecule units will point outward again and form a protective shield. Result: the paint continues to fight off water like it’s supposed to. Before you start going all ‘yay!’ and ‘wow!’, you do still have to wait for about six more years and you’ll have to buy a new car fitted with the stuff when the time comes. But good news it is! This entry was posted in News and Views and tagged car, LS, LV, SAS, technology by The Flying Dutchman. Bookmark the permalink.